Spring is in the air with wonderful weather, flower power and much more to look forward to. 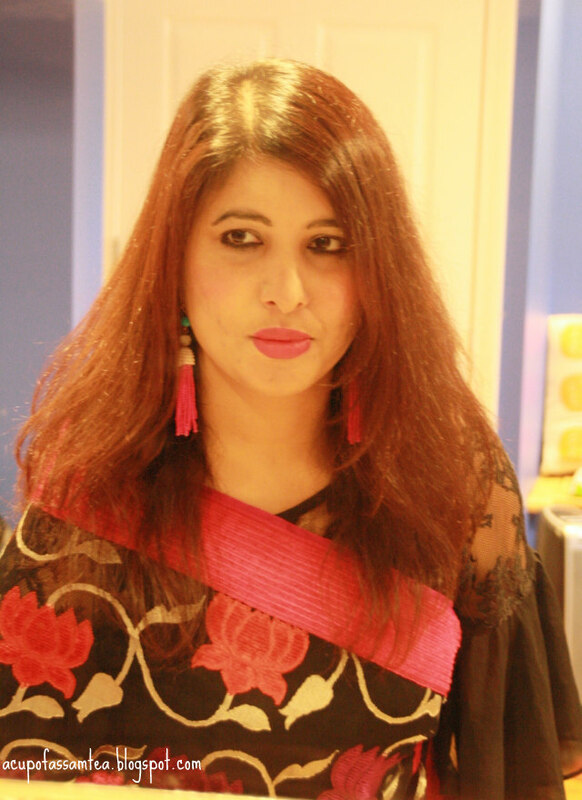 I look forward to wear more spring-summer outfits as well as sarees. Some of the most popular spring trends I see these days are dramatic bell sleeve and tassel earrings everywhere. Bell sleeves are super stylish and fuzz free. Tassel earrings are major trend this year. I very often sport them with my western dresses. As you guys know my love for mekhela-chadar and my love for banarasi/bespoke weaves are not any less then one another. I get little hopeful and adventurous. Why not incorporate these latest trends in Saree. 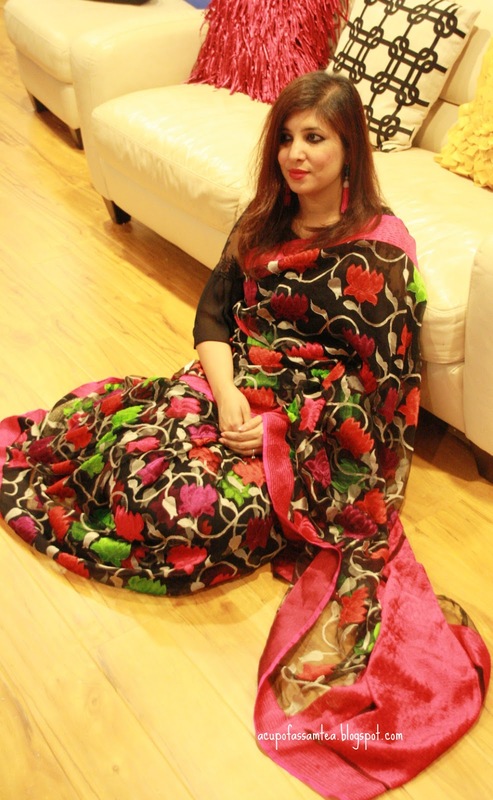 Here I am in a black Banarasi Saree with pink green and purple lotus motif and silver leaves with pink velvet boarder. This Saree has a very contemporary and modern appeal to it and is perfect for a soiree. The saree is very light and comfortable to wear. Someone like me who is not perfect in draping can easily wear this saree. Since the Saree has motif all over, I want to keep the rest of the things simple, and keep the Saree as the main focal point. 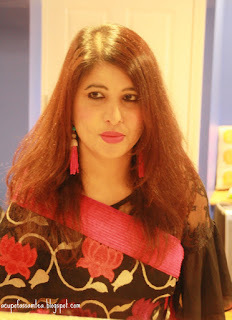 Only thing I felt the Saree needs is a long simple tassel earring with pink beads and pearls. Just to add a bit of zing to it. Hope you all like it. Beautiful earrings. Where are they from? Lovely saree!!! and you look gorgeous !!! is that saree custom made? Thank you Manju. No this is just store bought ! Beautiful saree! Especially love the prints and you look beautiful! Thank you so much Steph !